It’s been 18 years since the release of Unbreakable, back before the superhero genre had yet to really boom. It certainly didn’t have the spectacle and effects of other films around that time like X-Men and Spider-Man, but it took itself and comic books seriously in a pre-Dark Knight world. Unbreakable went on to gross $ 248.1 million, but despite that and the favorable critical response, development of a sequel was never able to get off the ground and M. Night Shyamalan moved on to other projects. 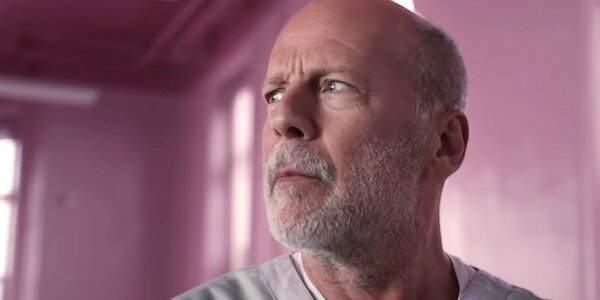 No one knew that Split was going to take place in the same world as Unbreakable, but the classic M. Night Shyamalan twist helped propel interest in a follow-up film. Now we’ve got Glass, which will close out the story that began in 2000. As you can imagine, it’s been quite the ride for M. Night Shyamalan, who took to Twitter to share his thoughts over closing out the trilogy. Shyamalan is back in his hometown of Philadelphia (where the trilogy is set), and he writes that he’s “filled with so many emotions.” The end of the trilogy is like the closing of a chapter in his career and he writes that he’s grateful for being able to be a director. While reviews for Glass have been mixed to negative, Shyamalan shouldn’t let that get to him. It’s been a hell of a ride to get to this point and he should be proud of what he’s accomplished. Plus, sometimes there can be a divide between fans and critics, and it’s possible that fan will love the movie by next week. It’s also notable that M. Night Shyamalan’s career has seen some ups and downs since the release of Unbreakable. Several of his films afterward were critically panned such as The Happening and The Last Airbender. However, he’s been on a hot streak these past few years, with Split being a particular triumph with $ 278 million worldwide on a $ 9 million budget. I’ll leave it up to you to form your own opinion on Glass. The film arrives next Friday, January 18. To learn more about every movie hitting theaters this year, be sure to check out our 2019 movie release guide. For more movie news and updates, be sure to stick with Cinemablend.